CJ Entertainment, Clover Films and Golden Village Pictures are excited to announce that THE BATTLESHIP ISLAND 《軍艦島》 Singapore Star Tour will be happening on 8th August 2017. The star-studded Singapore Star Tour of the highly anticipated war action blockbuster is proudly presented by tvN Movies, World’s FIRST & ONLY Korean Blockbuster movie channel where high-octane Director Ryoo Seung-wan 柳昇完, along with his leading men of award-winning veteran Hwang Jung-min 黄晸玟, celebrated heartthrobs So Ji-sub 蘇志燮and Song Joong-ki宋仲基will be in town to promote the blockbuster that has been receiving rave reviews ahead of its release in Korea. 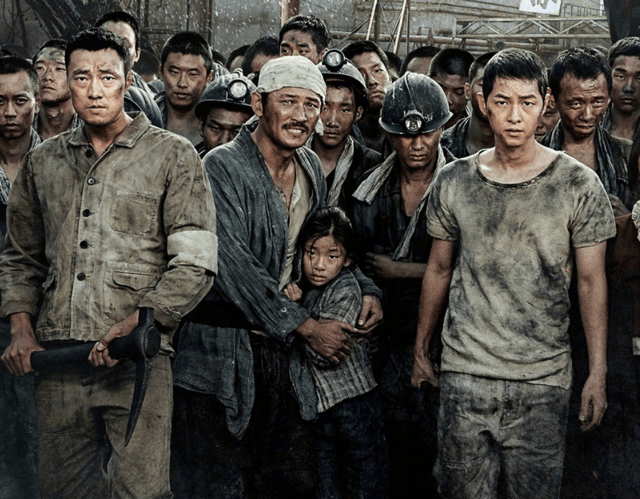 THE BATTLESHIP ISLAND features a stellar cast of Hwang Jung-min 黄晸玟, So Ji-sub 蘇志燮, Song Joong-ki 宋仲基, Lee Jung-hyun 李貞賢 & Kim Suan 金秀晏and tells the courageous story of three men staging a daring escape from a forced labor camp on the perilous “Battleship Island’ while leading 400 fellow Korean prisoners during the Japanese colonial era. THE BATTLESHIP ISLAND Singapore Star Tour is proudly presented by tvN Movies (StarHub TV CH 818/ 819); with support from Official Pay TV Channel – Hub E City (StarHub TV CH 111/ 825); and supporting TV Partner – tvN (StarHub TV CH 824). THE BATTLESHIP ISLAND is co-distributed in Singapore by Clover Films, Golden Village Pictures; in association with King Kong Media Productions & The Number 8 Yard; and movie opens island-wide on 17th August 2017. Stay tuned for more details of the Star Tour and fan events.